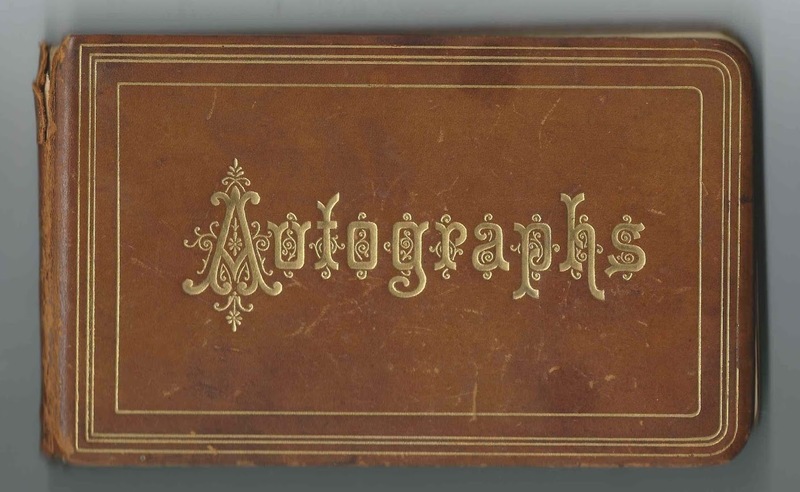 1880s autograph album that belonged to Frank Mead Bradley of Somerset, New York. He would marry Louah M. Dix, whose autograph album is the feature of another post. 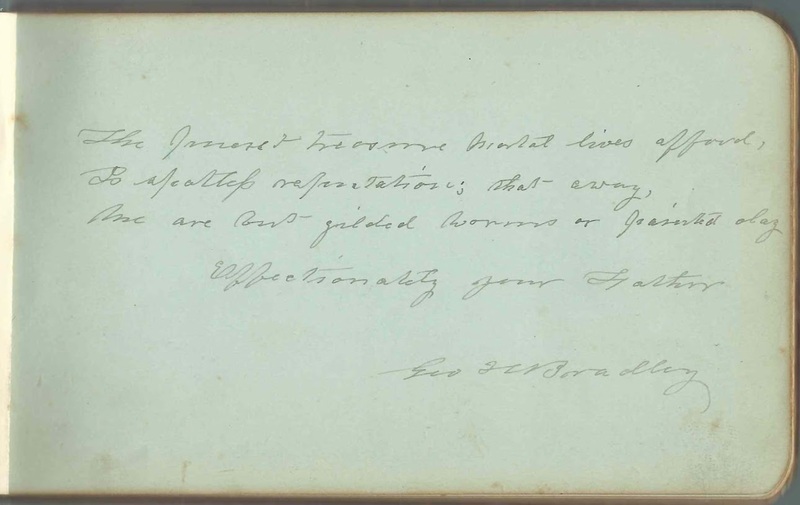 The album measures approximately 7" x 4-1/4" and contains the sentiments of 21 of Frank's father, friends and two siblings of his future wife Louah M. Dix. An alphabetical surname list and an alphabetical list of the signers, together with any personal information they offered, appear at the end of this post. Frank Mead Bradley was born April 11, 1864 at Hartland, New York, the son of George Henry Bradley and Fanny (Mead) Bradley. 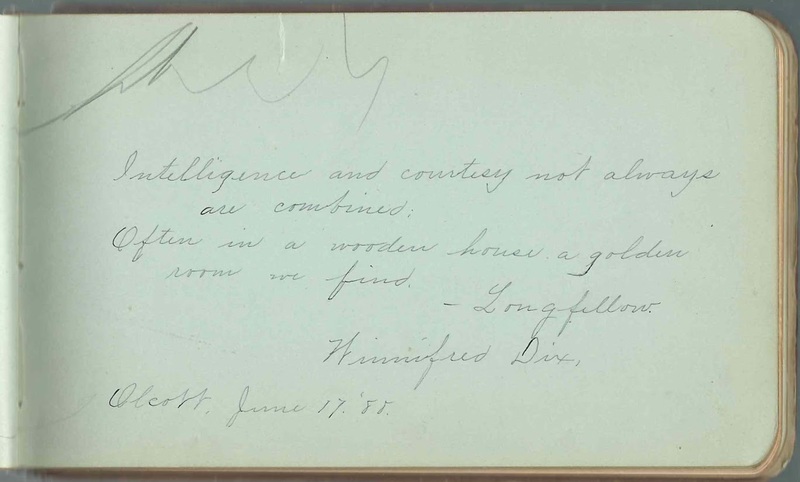 Frank's father inscribed the first page after the title page. About 1888, Frank Mead Bradley married Louah M. Dix of nearby Olcott, New York. Louah didn't sign a page in Frank's album, but two of her siblings did: Winnifred Dix and Burt Tillinghast Dix, both of Olcott, New York. The inside front cover of Frank's album has contemporary writing that lists the names of the children. Frank died in 1930, and Louah in 1952. They're buried at the Somerset Cemetery at Somerset, New York. 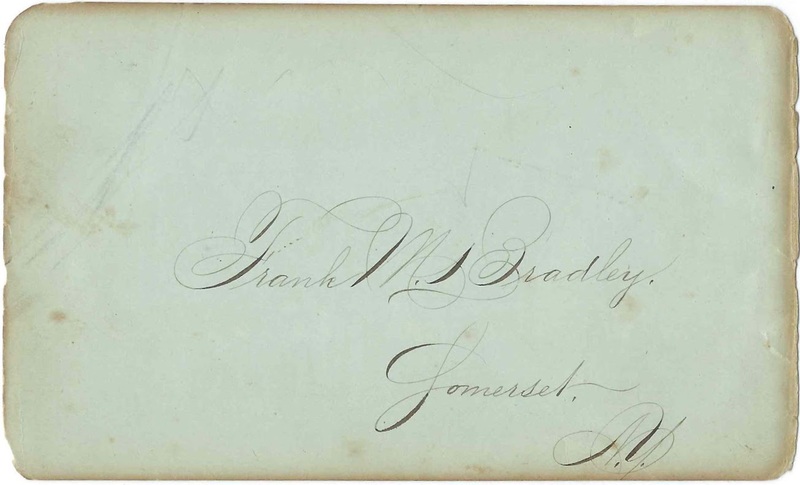 George H. Bradley; Frank's father George Henry Bradley. 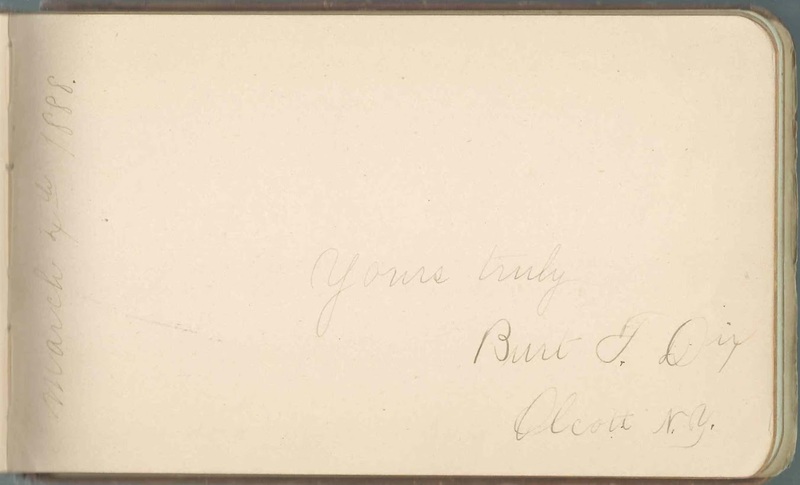 Burt T. Dix of Olcott, New York, signed on March 4, 1888. Burt TIllinghast Dix was a brother of Frank's wife Louah M. (Dix) Bradley. Eva Hoag of Cambria, New York, signed on February 18, 1882. Middle initial might be P or S or ? Mary A. King, signed at Lockport, New York, on March 19, 1882. She was Mary A. (Barber) King, whose husband James O. King also inscribed a page. James O. 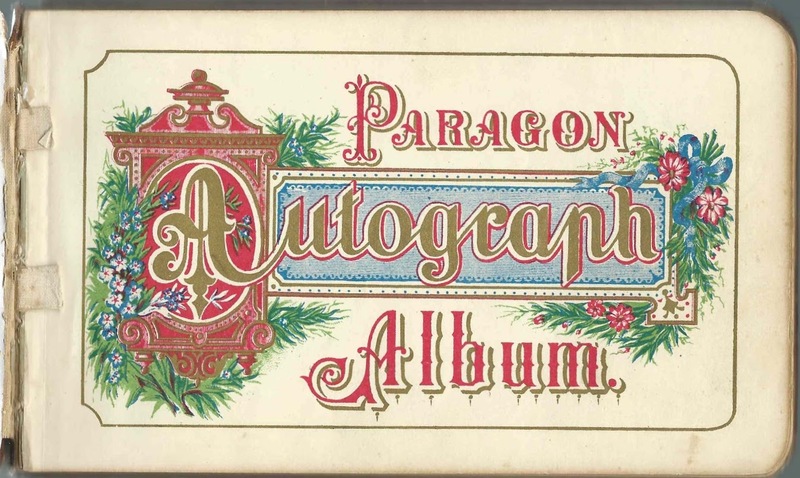 King, signed at Lockport, New York, on January 23, 1882. His wife Mary A. (Barber) King also inscribed a page. Mrs. C. H. St. John, signed on August 29 [no year written] at Beloit, Kansas. S. Williams, signed in 1883; sketched a feather.